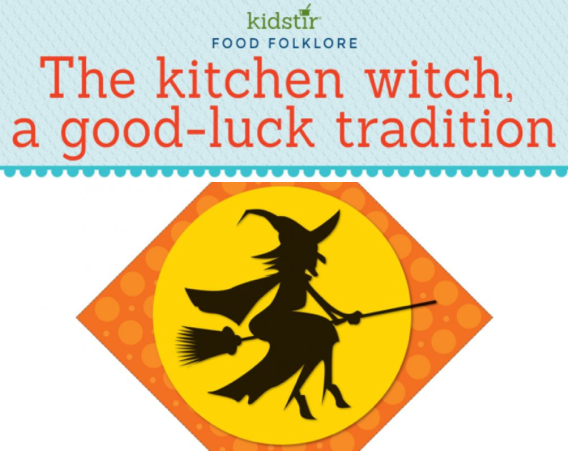 Kitchen Witch Tradition for Kids! Watch out – there’s a witch in the kitchen! The age-old tradition of hanging witch figurines in the kitchen bagan in Eastern Europe more than 400 years ago. According to folklore, the kitchen witch brings good luck to the kitchen and wards off evil. She’s known to prevent overflowing pots, burnt pastries, and other kitchen disasters! There’s more witches in the kitchen when kids get ready for Halloween with our Kids Spooky Celebration Cooking Kit. And when they are preparing to invite friends over for your own celebration, check out our tips for a great Halloween Party! We just know you’ll want to carve up a pumpkin or two with our Pumpkin Carving Stencils. And don’t forget the healthy halloween treats while everyone works up an appetite for fright, while the kids help cook up some scary Spaghetti and Eyeballs for everyone before Trick-or-Treating. 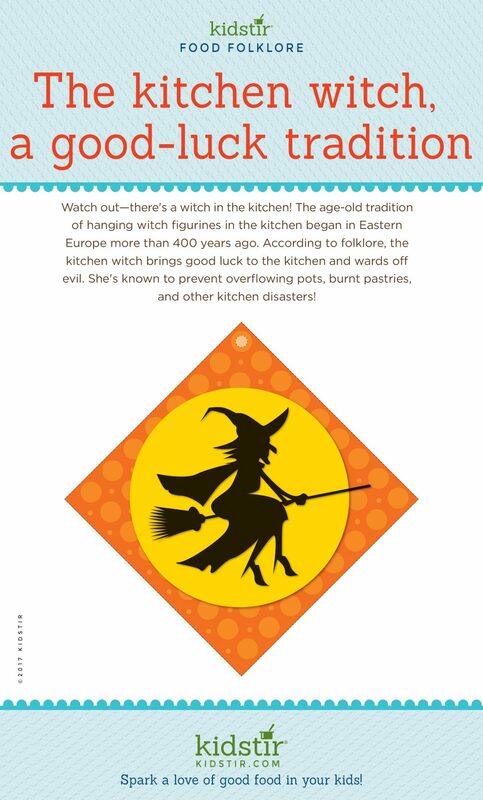 We’d love to offer Kids our “Kitchen Witch” infographic for you to share on your blog. Just select and copy the code snippet below and paste into your next blog post. We’d love for everyone to share this page on social media or email using the buttons below so you can share our Kids Kitchen Witch Infographic!